Pampering our guests is our passion. The Bismarck half-board is just one part of this philosophy - our board includes an afternoon snack and cake, torte or strudel. 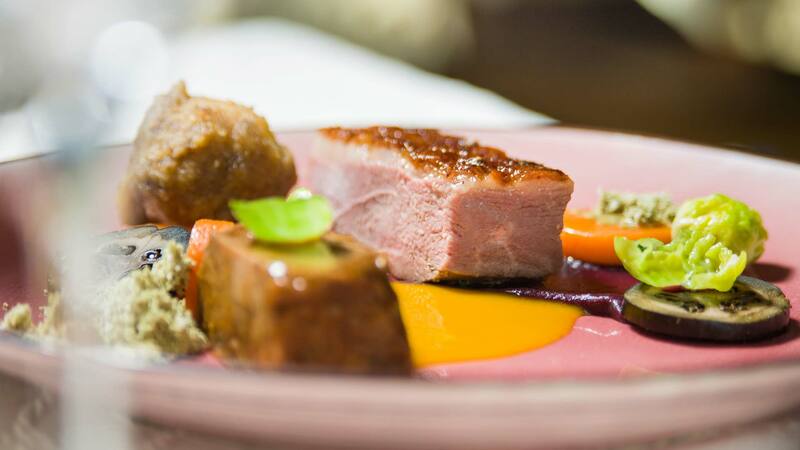 Make your summer or winter holiday in the Austrian Alps a very special culinary experience. Everything served up at our hotel in Bad Hofgastein is textbookt healthy gourmet food. It meets the highest demand for quality, and is indescribably delicious. 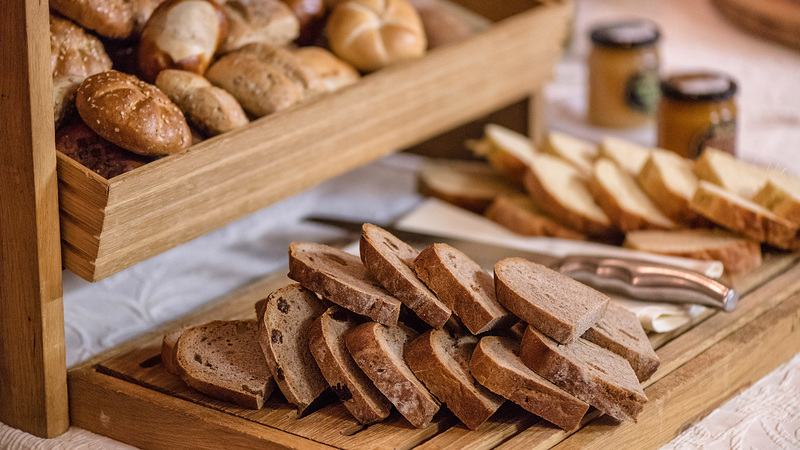 Breakfast like a king - this idea is interpreted in a special way at the Hotel Bismarck. Enjoy freshly made eggs, organic produce, perfectly-ripe fruit and lactose-free products. We have special treats in store for both your summer and winter holidays with us. Each afternoon in summer we prepare a soup and salad buffet and in winter we add both cold and warm local treats and a ski snack. In summer you can enjoy your afternoon snack on our lovely sun terrace with incredible alpine views. Twice a week during the summer season, meet other guests at the bar near the Bismarck heart in the garden and be refreshed with a Sorbetto al Limone, full of Italian flair. Order your drinks in your swimwear at the garden bar (for a fee) or let us serve your Sorbetto al Limone right to your lounge chair in the garden! 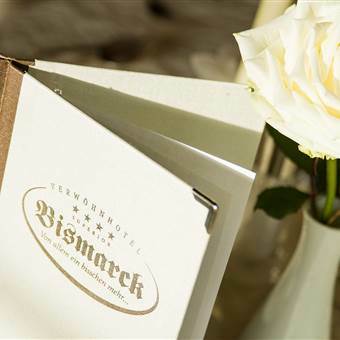 Feast and enjoy - at the Hotel Bismarck, you will meet fellow connoisseurs from all over the world! 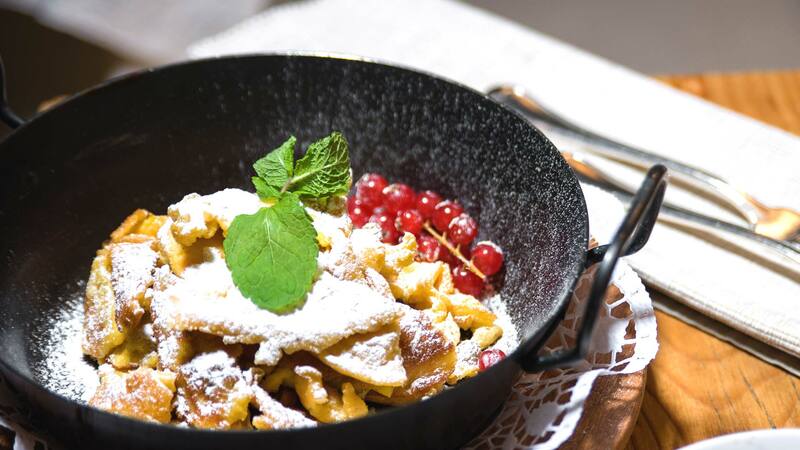 Eat to your heart and stomach’s content at the Hotel Bismarck in Bad Hofgastein! We look forward to serving you on your gourmet summer or winter holiday with us. Hungry for more information? Simply contact us today!